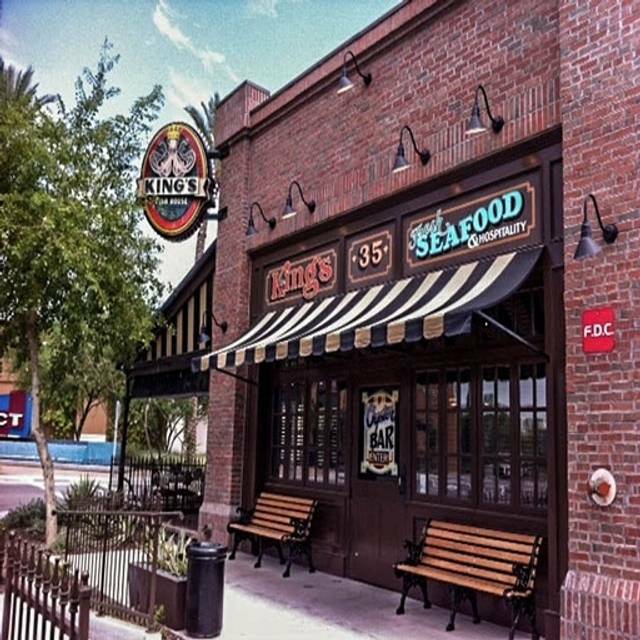 Here at King's in Henderson we can accommodate larger parties on our patio. Although the patio is not completely private we are happy to serve your group for any occasion. We’ve been in restaurants a long time- three generations, to be precise- and we love seafood. With seafood there’s so much to be passionate about- the freshness, the flavor, the variety, and the surprise. 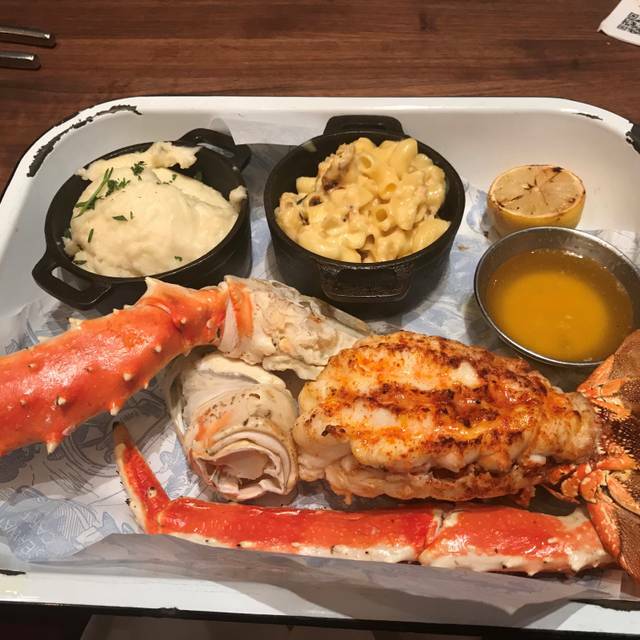 To create the ultimate seafood experience, we traveled down the highways and byways. 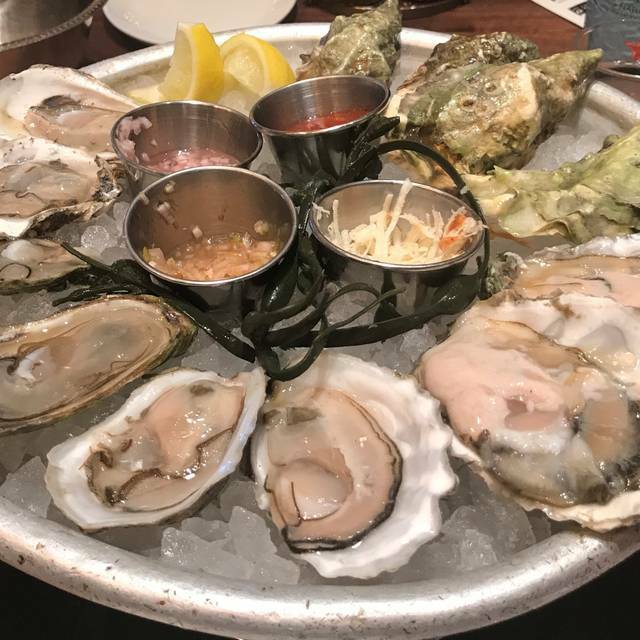 We pulled up a seat, put on bibs, and soaked up the seafood experience: The no-name dishes with unforgettable flavor, the fresh-caught oysters and clams piled high, the hand-lettered specials on ancient chalkboards, and the savory simmer of every combination of spices imaginable. 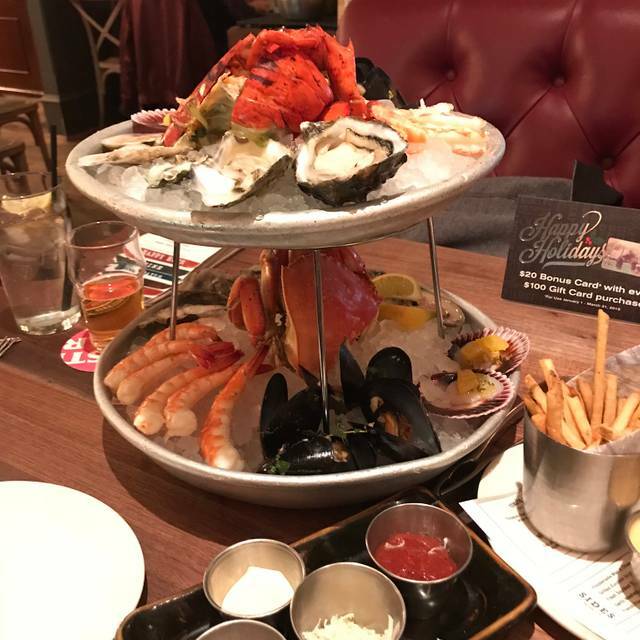 The pleasure of preparing and sharing seafood was simple and genuine, and it brought out the best in everyone. Often we felt as if we’d been welcomed into somebody’s home. That’s what King’s Fish House is all about- and we’ve tried to bring all of these ideas together into one single, spectacular place, filled with camaraderie and celebration, and the things we love best. Welcome to the House that Seafood Built! We went early. It wasn’t to noisy. Later you couldn’t hear people at your own table. Extra money for asparagus is crazy. Food was wonderful. The Calamari appetizer with 2 sauces 2as very tasty. The cioppino was among the best I ever had and the portion was generous. The scallop dinner was delicious but the portion was very small for the price. Very noisy place. Service was excellent in the bar and in the restaurant. Highly recommend the restaurant overall. We loved eating an early evening meal in the bar, it was secluded and comfy. I've been to lunch and dinner there. I prefer lunch as it's quieter. Us older folks have a hard time hearing each other at dinner. I had the lobster roll. It was delicious. A great bar. Our server was super nice and timely. Food is below quality for this caliber of restaurant. Fish was inconsistently cooked. Vegetables were hit and miss. Service and atmosphere very good. Great food with fantastic service. Food was good but entrees were lukewarm. Service was fine. The food was excellent. 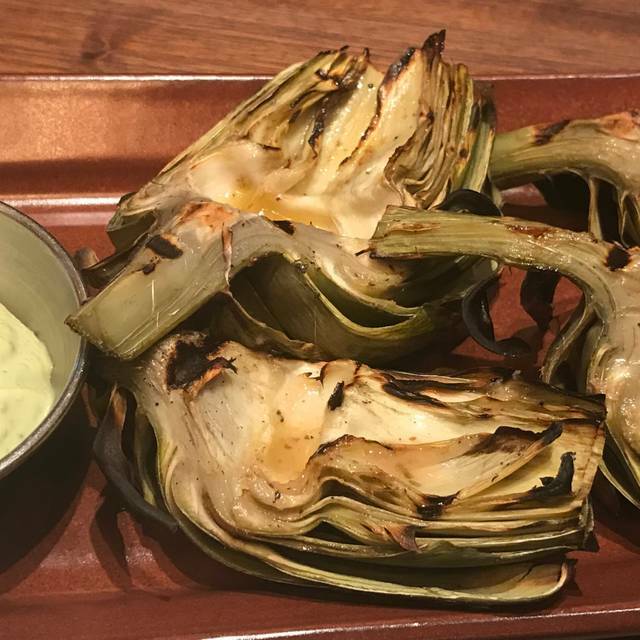 Well cooked and flavorful. Everyone in our party enjoyed their meal. The service was acceptable but not great. We requested waters and the server only brought 3 out for 4 people which seemed odd. A refill on the bread would have been nice too. Bar drinks took a little longer too. Our waiter is nice, i forgot his name, we are sitting at the lounge. Everything just tasted OK. Fish is fresh, but lackluster presentation. And bare of a good flavor profiles. Wonderful Spiny Lobster & Crab Cakes App! Very enjoyable evening! Great Service! Once a year I have a planned dinner with my siblings and there spouses. Friday night was that occasion. 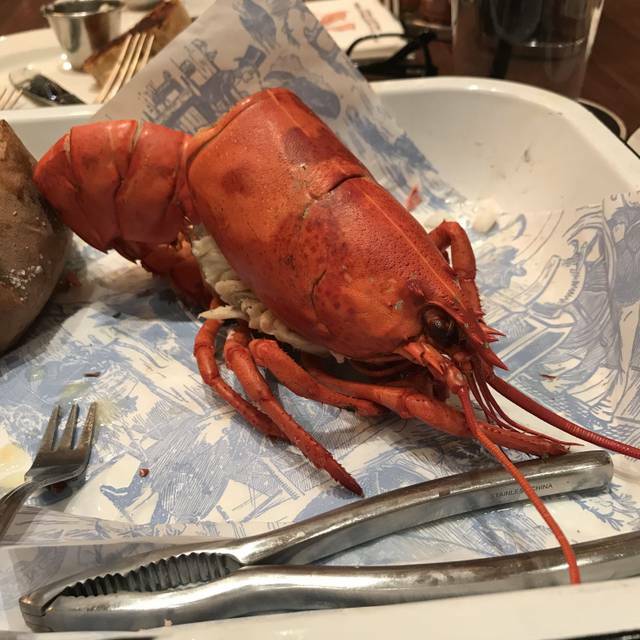 Service at King’s Fish House was very slow and the quality of the food,for the price, was less than expected. We've been here more than once. Part of the attraction is their extensive menu, which changes daily. Service by host and server both very good. Crab cakes, chowder, salads great, although pricey. I would hope quality of the entrees, given the pricing, would see improved flavor, and cooking quality on our next visit. very good food, seafood was fresh and simply prepared with lots of flavor. Outside seating was very nice. The waiter was terrible, slow and seemed rather angry. 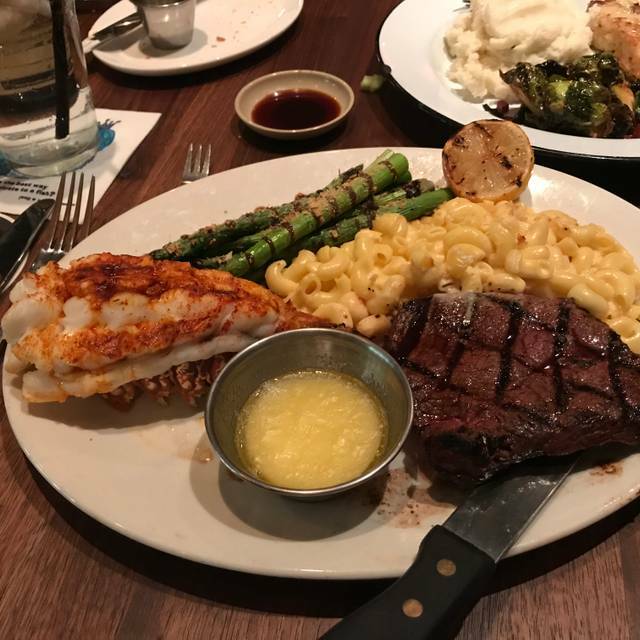 Great food, great service! Patio seating. Saturday after 3 pm was a good time to go, there wasn't a lot of people and it was very quiet. We all enjoyed our dinner (8 of us), however, we did make an "OpenTable" reservation and had to wait-20-25 minutes for a table. Not sure what that was all about? Would recommend King's for the food but would warn friends about the long wait, even with a RES. quite noisy inside the restaurant. Bar and outside are less noisy. Food is good but a little expensive. Food was delicious, it was quiet enough for me to not remember any noise problems at all, and my server was properly trained. 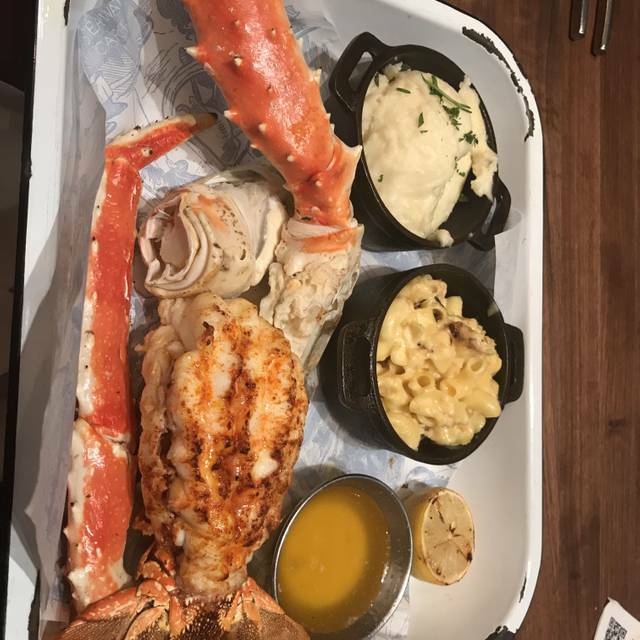 I would definitely go there again and recommend to who are looking for good seafood in Vegas. We are regulars when in town visiting family; Robert, aka Robbie, is always extra special good to us, our waitress, name?, great too. We brought other Henderson folks , they for the first time. One meal was cold and had to be sent back. Another meal was over cooked. Prices are very expensive for what you get. Had to ask waitress multiple times for the same items. Noise level was awful. It was quite a long wait to get our food and the restaurant was so loud we felt like we were yelling just to be heard. The food was excellent and I will go again when I am in the area. dinner companion and I ordered the sand dabs. Generally my favorite on the menu. The food here is usually very good. However, our dish tonight was so spicy neither me nor my husband could eat more than 3 shrimp out of it. It’s always enjoyable at King’s. The service and food are very consistent. The only problem we had this time was the creme brûlée. It was chunky and not smooth. The eggs were probably subjected to high heat and scrambled instead of being incorporated into the custard. They took it off the bill. 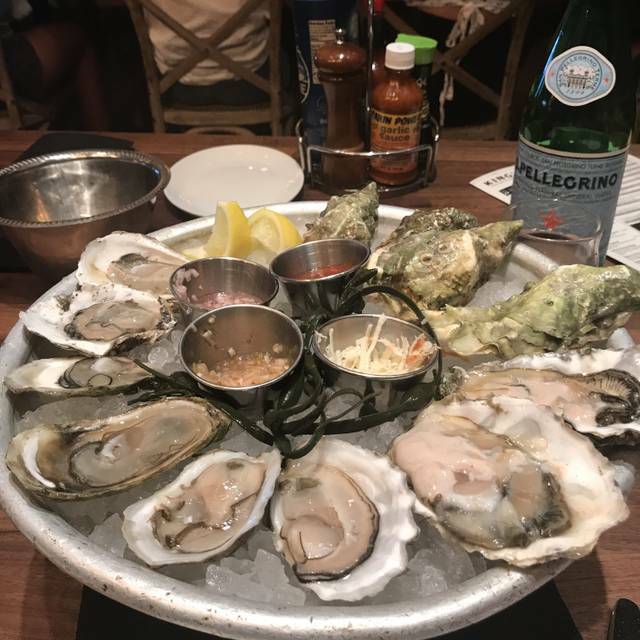 Always more than satisfied at King Fish House!! Great fresh seafood!! Lots of choices. Great food and fantastic variety. Loud as we had a group of 30-40 next to us. Will always go back when in Vegas.